Home Tags Posts tagged with "french music"
French singer and actress Patachou has died on Thursday, April 30, at the age of 96, her family announces. Real name Henriette Eugénie Jeanne Ragon, the singer was born on June 10, 1918, in Paris. She died at her home in Neuilly (Hauts-de-Seine), announced her son Pierre Billon who told AFP, confirming a report by France 2. 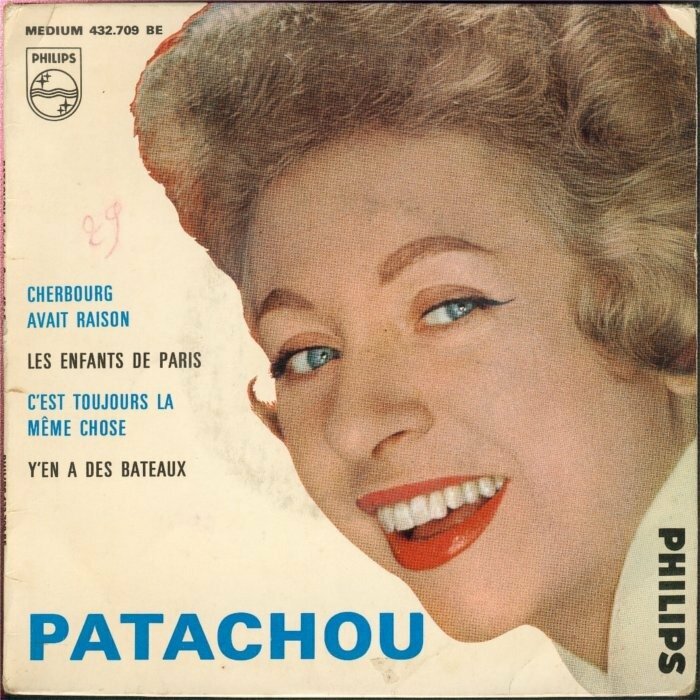 Patachou was one of the most cheeky voices of French music after the war, which had owned a famous Parisian cabaret in Montmartre before launching herself on stage. This artisan girl, was first a typist and factory worker, in 1948 she opened and managed a cabaret-restaurant in Montmartre, with her husband Jean Billon, she quickly made a famous place of the Parisian night life. “At Patachou” it saw the start of many artists like Jacques Brel and Georges Brassens with which she performed Maman, Papa, a duet. Hugues Aufray and Michel Sardou also performed in this nightclub of the popular song, which was closed in the ‘70s. Originally, Patachou, blonde with short hair, began by making pastry, then bought a nearby local location for her cabaret-restaurant. Supported by Maurice Chevalier, Patachou then took to the microphone herself, with a repertoire of realistic songs (La Complainte de la Butte, Gamin de Paris) and light ditties (Le Tapin Tranquille, Douce Marijane). Interpreter with a slight warm hoarse voice, her Bal chez Temporel is remembered as La Bague à Jules is remembered as well as Toutes Les Femmes de Mon Mari. Patachou has also performed abroad (US, Canada, UK, Brazil), as well as getting small roles in film (1954) in French Cancan and Renoir’s Napoleon by Guitry. From the 1980s, Patachou is seen in film and television.